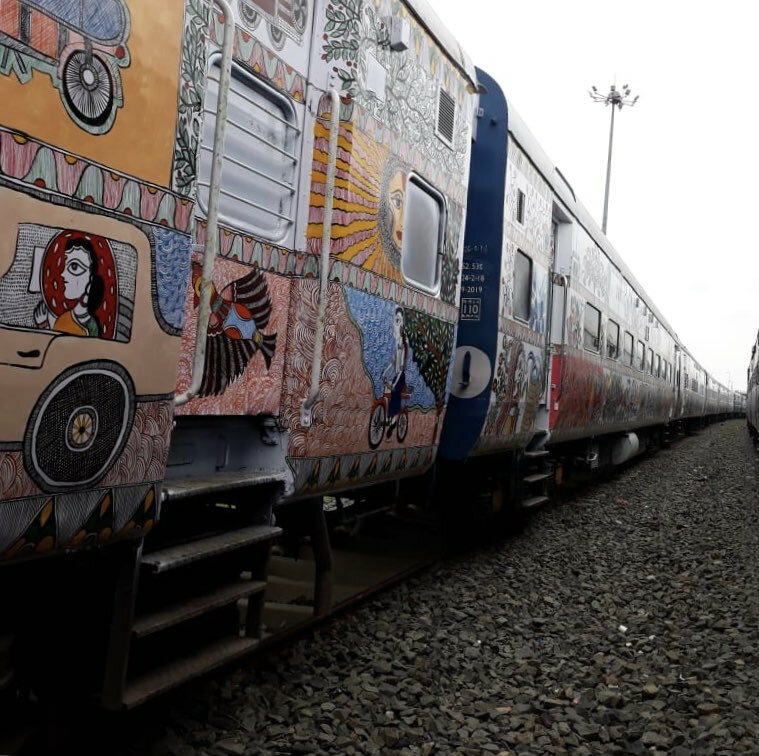 9 coaches of the superfast Bihar Sampark Kranti Express adorned with beautiful Madhubani paintings of the traditional Mithila artform have departed from the Darbhanga railway station in Bihar on their maiden journey. The train is scheduled to reach Delhi later today. 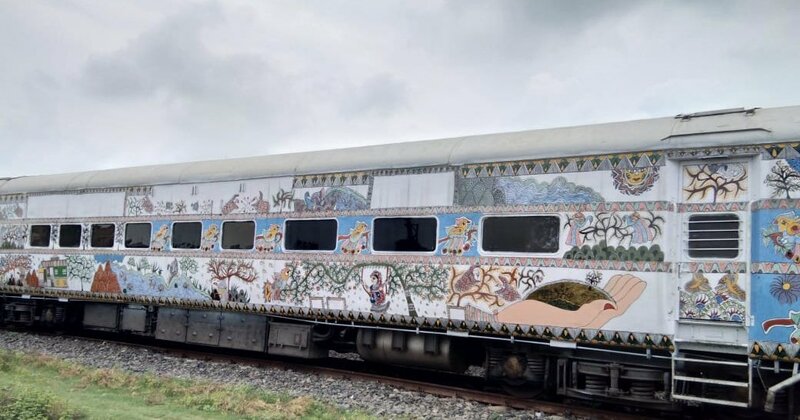 As per reports, the coaches were painted under the initiative of the Indian Railways to promote the traditional art forms of the Mithila region. The Bihar Sampark Kranti Express runs from Darbhanga in Bihar to the national capital and the coaches were attached at the Samastipur division of the East-Central Railway Zone. As per reports, the East Central Railways Division is planning to paint as many as 100 coaches of different trains with the Madhubani art. Danapur Divisional Railway Manager was quoted by IANS as stating that at present 22 coaches of the Patna-Delhi Rajdhani Express are also being painted with the traditional Madhubani paintings. The Sampark Kranti Express was painted by traditional artists of the region and the Railways have reportedly spent Rs 1 lakh per coach. Railway divisions are encouraged to depict their zonal art forms in trains and railway stations. Previously, the Madhubani Railway station had grabbed national attention when the station was beautifully decorated with Madhubani paintings by local artists. Taking cue from Madhubani station, several other railway stations in India were also decorated with traditional paintings. 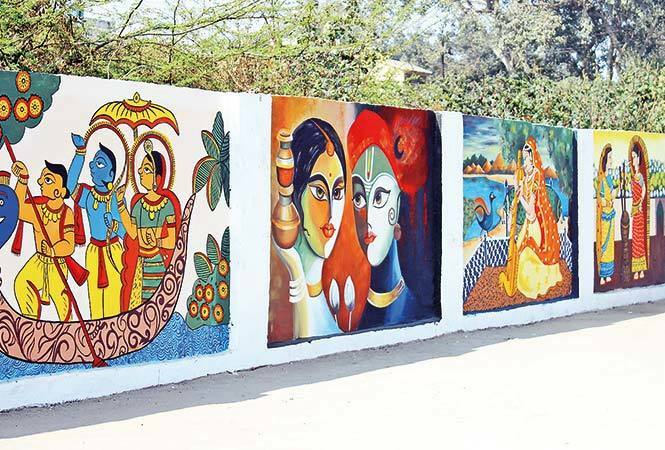 Later, Raja Ki Mandi station in UP was adorned with traditional ‘Ram Barat’ paintings depicting Lord Ram and Sita’s wedding and Titwala station in Maharashtra was decorated with vibrant and thoughtful art by local artists. Madhubani is the traditional art form of the Mithila region which includes parts of Bihar and Nepal. The artists use natural pigments and depict bright, colourful images of Hindu gods and events from Ramayana and Mahabharata. Natural entities like the sun, moon, flowers, leaves and animals are widely depicted in these paintings. Railways have stated that these initiatives will not only provide a platform for local artists to showcase their talent, it will also popularise local art, crafts and will create awareness among travellers. Many other Railway stations have now gone ahead to beautify their walls with traditional paintings. It is notable here that Madhubani Railway Station had gone ahead to win the second prize in the station Beautification contest organised by the Indian Railways in May this year. Balharshapur and Chandrapur stations in Maharashtra had won the joint first prize.